Welcome to the SAReads Blog! 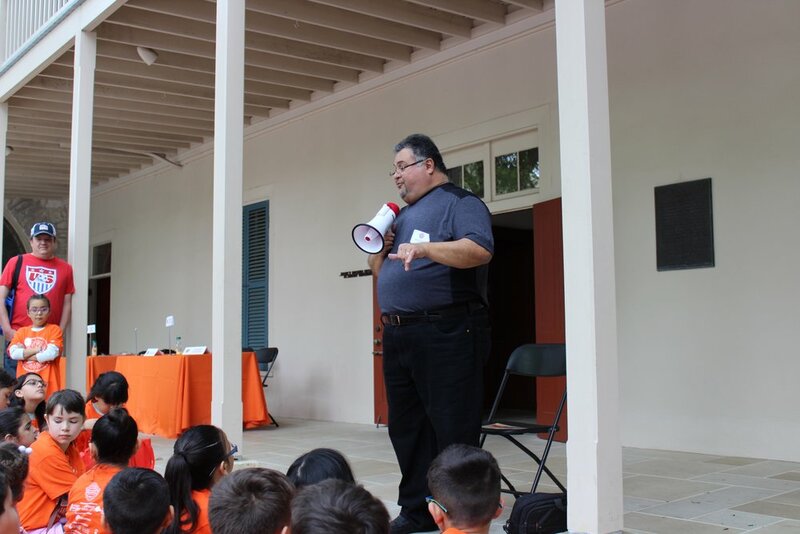 Each year, we organize a field trip to the San Antonio Book Festival for SAReads students and their families. 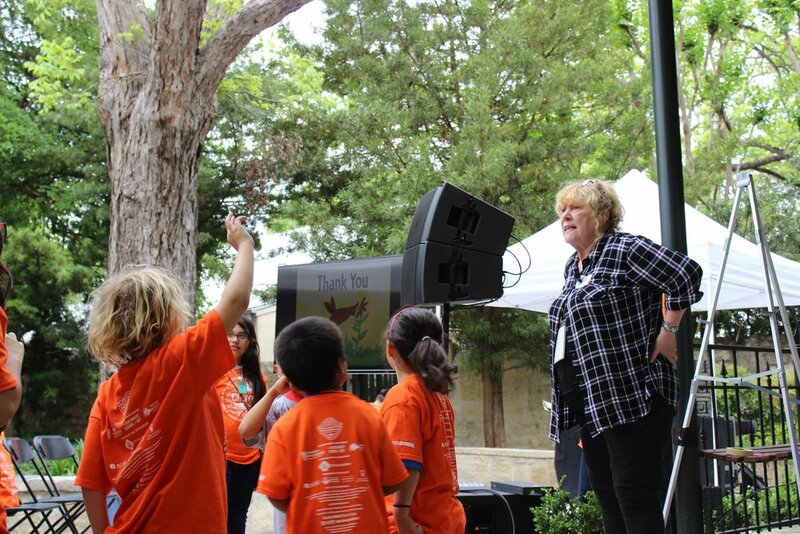 Literary experiences like the San Antonio Book Festival help children build critical vocabulary and comprehension skills. 125 children, parents and educators from 11 Southwest ISD elementary schools attended the event, which took place on April 8, 2017. 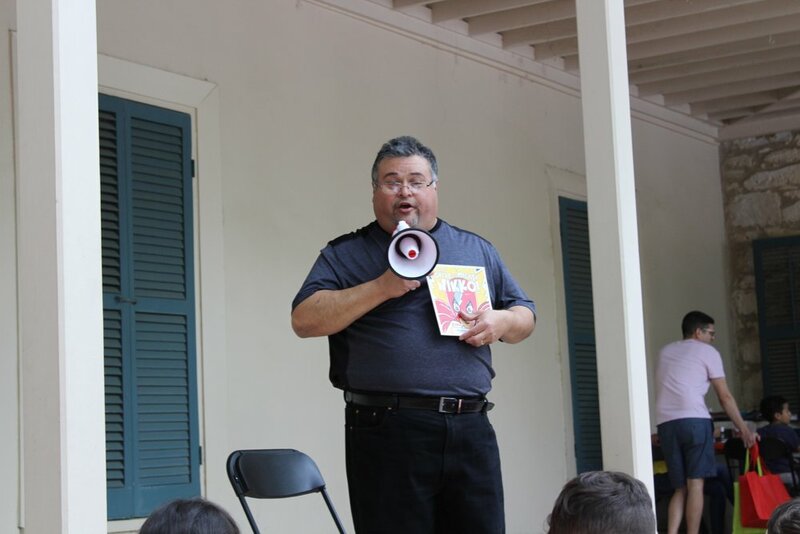 Highlights included meeting children's authors Denise Fleming, Xavier Garza and Diane Gonzales Bertrand, as well as a performance by the Magik Theater and of course, free books from the SAReads Book Bank! 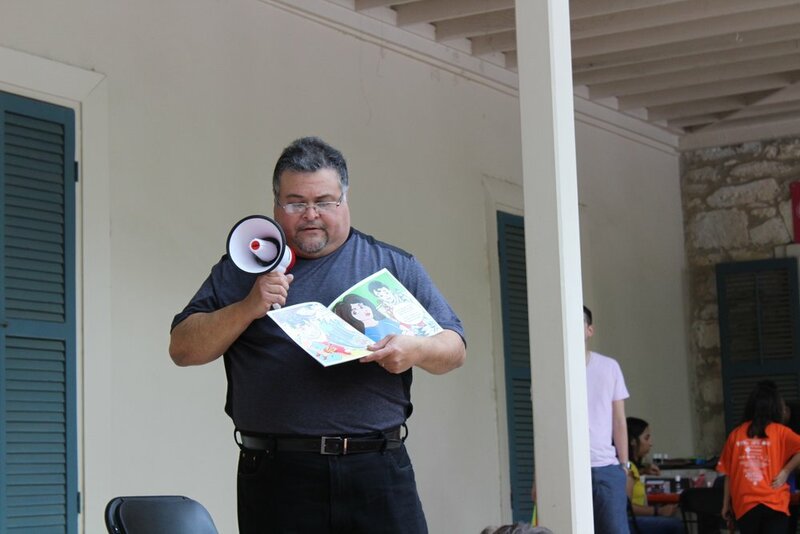 Alamo Fireworks Vice President Luke Girdley also made a surprise announcement that do date, $50,000 has been donated to SAReads through fireworks sales (pictured below)! 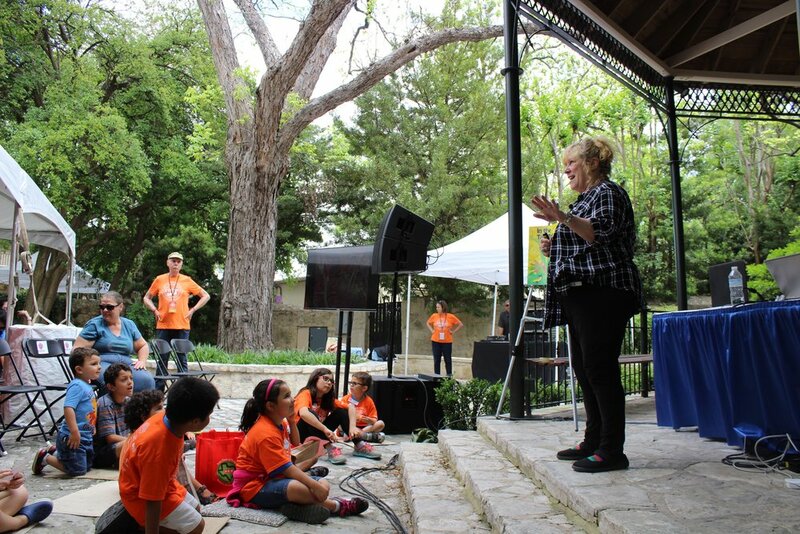 The San Antonio Book Festival field trip is just before summer vacation, where the potential for summer learning loss is very real. "Every summer, low-income youth lose two to three months in reading while their higher-income peers make slight gains. Most youth lose about two months of math skills in the summer. These reading and math losses add up. By fifth grade, summer learning loss can leave low-income students 2 1/2 to 3 years behind their peers" (McLaughlin & Smink, 2010). SAReads is working with area foundations and school administrators to provide meaningful summer reading initiatives. The goal is to keep students learning and reading throughout their summer vacation so they return to campus prepared for classroom instruction. Subscribe to our quarterly newsletter to learn more about SAReads events, happenings and how you can get involved. SAReads is a project of Literacy San Antonio, Inc. (LSA) to significantly increase literacy and educational attainment in Bexar County. LSA is a 501(c)(3) nonprofit organization that builds partnerships and systems that unite school administrators, parents, teachers, future teachers, and university faculty in order to help students learn to read proficiently. Currently, the SAReads Book Bank serves teachers, nonprofits and schools that are located in Bexar County and need books for classroom libraries.